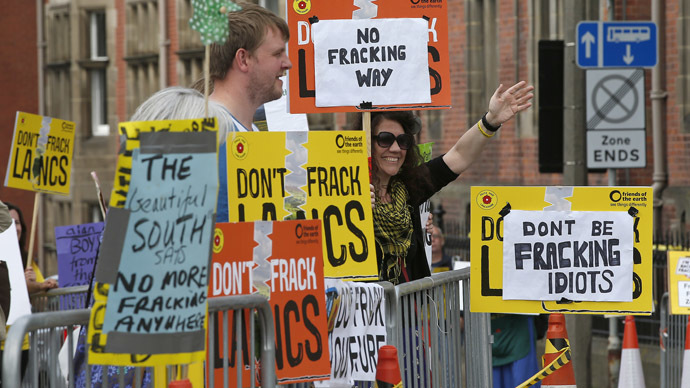 Lancashire County Council has unanimously voted to reject a planning application for fracking in the region. Residents and environmentalists, who have been protesting throughout the council’s two-day meeting, welcomed the news. The county council’s Development Control Committee refused Cuadrilla’s application to drill for shale gas in the local Roseacre Wood area due to concerns over traffic and activity on the site causing “an unacceptable impact” on the roads. Roseacre Wood is located between the Lancashire towns of Preston and Blackpool. County Councilor Marcus Johnstone, who is cabinet member for environment, planning and cultural services, and a member of the Development Control Committee, said: “The development control committee has listened very carefully to many hours of evidence both for and against the proposal, and considered the report of the council's planning officers. The committee has yet to decide on a second proposal in the area. Friends of the Earth North West campaigner Furqan Naeem welcomed the decision. “This is a tremendous victory for local people and everyone across Lancashire and the UK who have been tirelessly highlighting the risks fracking poses to their quality of life and the climate. “But the fracking threat still hangs ominously over the community near Preston New Road. “Poll after poll shows people want renewables, not fracking – and the clean energy and long-term jobs they would provide. Cuadrilla said it was disappointed by the outcome.